Injecting microscopic fibers that remove plaque deposits from artery walls reversed atherosclerosis in preliminary research. SAN FRANCISCO – An injection may one day be able to reverse atherosclerosis, according to emerging research presented at the American Heart Association’s Vascular Discovery: From Genes to Medicine Scientific Sessions 2018, a premier global exchange of the latest advances in vascular biology for researchers and clinicians. Drugs such as statins are used to control low density lipoprotein (LDL) the so-called bad cholesterol and thus decrease “plaque burden”, explained Neel A. Mansukhani, M.D. lead author of the study and an integrated vascular surgery fellow at Northwestern University Feinberg School of Medicine in Chicago. “But statins have not been proven to reverse the disease.” Mansukhani said. “Our aim was to develop a non-invasive, non-surgical, novel therapy to halt and reverse the disease by actually targeting the vessel wall with peptide-based nanofibers developed in the laboratory,” Mansukhani said. The tiny fibers contained particles that helped remove cholesterol deposits from the plaque in the artery walls. 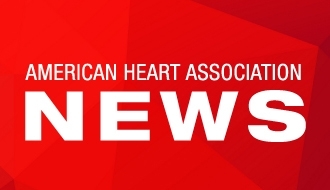 “It was important that we were able to achieve reproducible results in this model in the lab, so first we wanted to confirm that the therapy actually targeted areas of atherosclerosis,” Mansukhani said. They used imaging techniques -- fluorescent microscopy and pixel quantification -- to determine optimum dose, concentration, binding duration and biodistribution and found they could observe the targeting effect after 24 hours, and after 48 to 72 hours the nanofiber would dissipate and it was cleared in 7 to 10 days. The results “demonstrate that a novel targeted nanofiber binds specifically to atherosclerotic lesions and reduces plaque burden after a short treatment duration,” Mansukhani said. Co-authors are Miranda So, M.S. ; Mazen; S. Albgaghdadi, M.D. ; Zheng Wang, B.A. ; Samuel I. Stupp, Ph.D.; Erica B. Peters, Ph.D. and Melina R. Kibbe, M.D. The study was funded by the National Institutes of Health/National Heart Lung and Blood Institute; Northwestern Memorial Foundation Dixon Translational Sciences Award. May 10–12, 2018 | San Francisco, Calif.